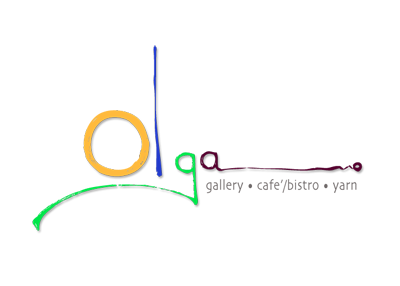 Olga Gallery, Café, & Bistro is a colorful & creative art, music, food, & drink experience unlike any other – largely created & inspired by Olga. Yarn at Olga’s is one of Pennsylvania’s premier yarn shops offering an extensive selection of luxury yarns and natural fibers. Art for Giving & Living. Seriously good art,yarn, food, drink, & music all under one roof. If you are in the Twin Tiers region of Pa. & NY Olga Gallery, Cafe, & Bistro is a place that you don’t want to miss. To better serve you we appreciate, but do not require reservations for parties of 5 or more people. Our full menu can be found in the photos section plus we have daily food & drink specials posted on our Facebook page. Live music on Saturday evenings.